Cedar fever is an allergy caused by pollen originating from mountain evergreen trees. Although these types of evergreen trees are typically found in Texas, if you think you’re safe from cedar fever, it may be time to reevaluate and learn more. Get all the facts, from symptoms to treatment options. While the causes of cedar fever are pretty straight forward, it’s always a good idea to know what to rule out and what the signs and symptoms are. While a self-diagnosis may seem beneficial, the only way to totally rule out any other ailments is to seek the advice of a medical professional. FastMed Urgent Care is open 365 days a year, and our hours extend later than most physicians’ offices for your convenience. Not only can you seek treatment for cedar fever from our professional, knowledgeable, and compassionate staff, but FastMed also offers an array of medical services like vaccinations, illness and injury management, x-rays, and physical exams. We strive to get you in and out of our office quickly so you can go on about your day and get on the road to feeling better. 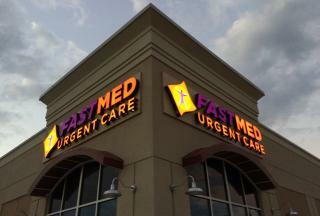 To find the FastMed Urgent Care facility that’s closest to you, check out our list of locations.